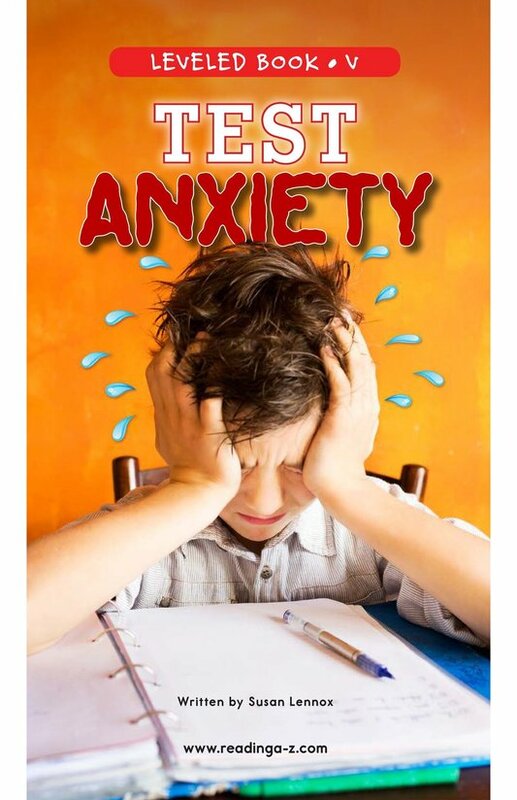 You are about to take a test. 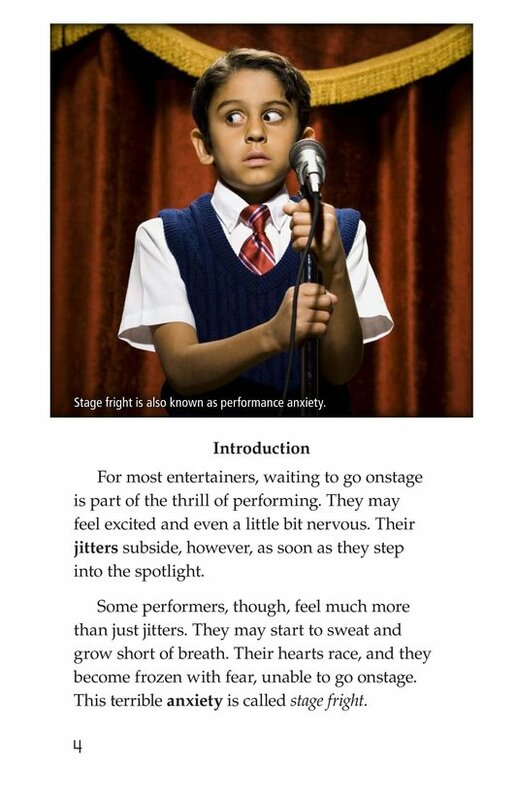 All of a sudden, your heart starts to race, you are short of breath, and you start to sweat. 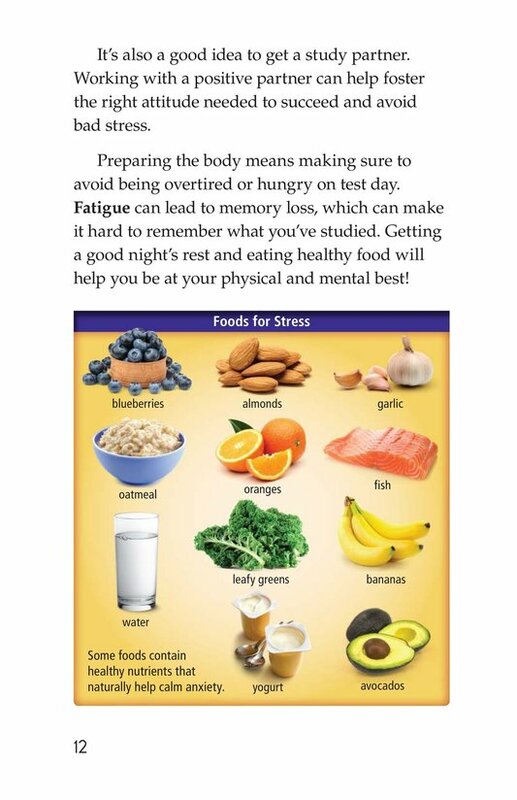 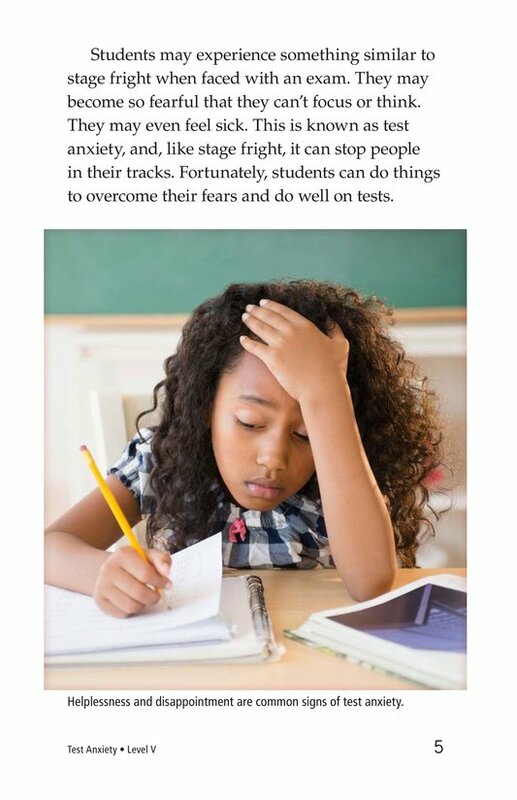 You are most likely suffering from a classic case of test anxiety. 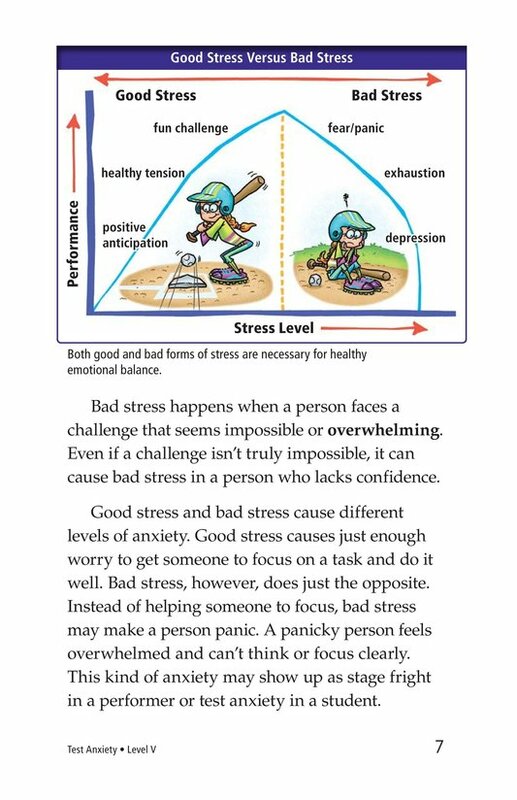 But don't worry, there is help! 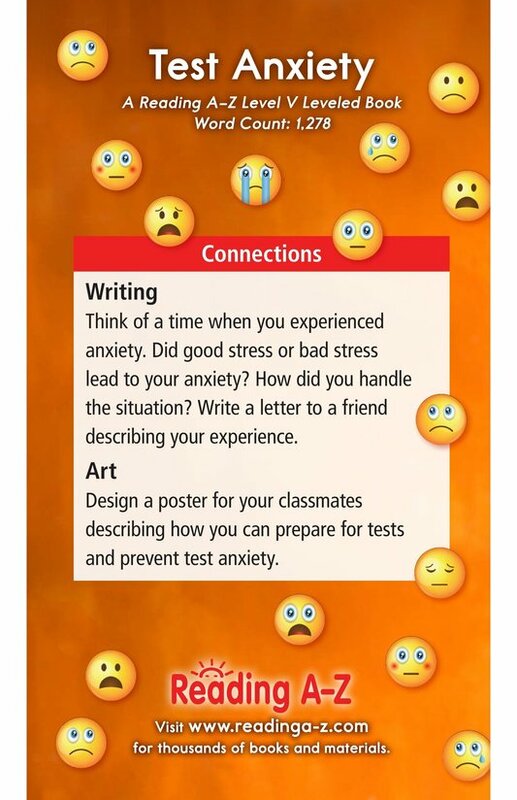 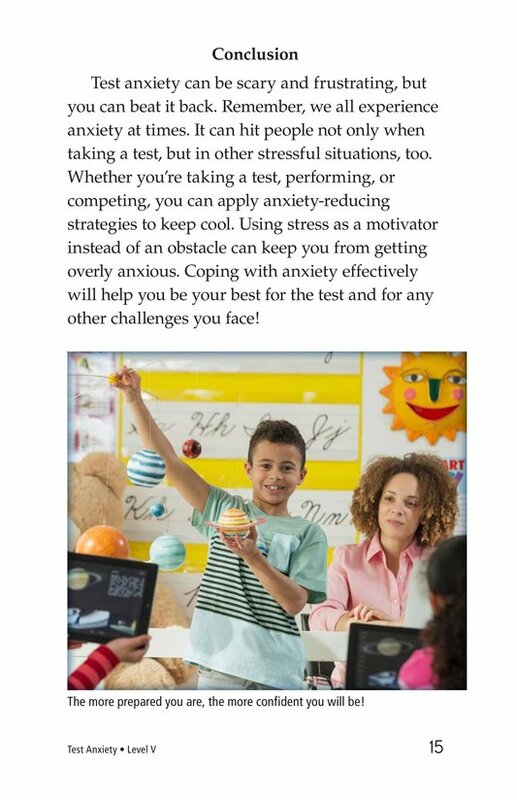 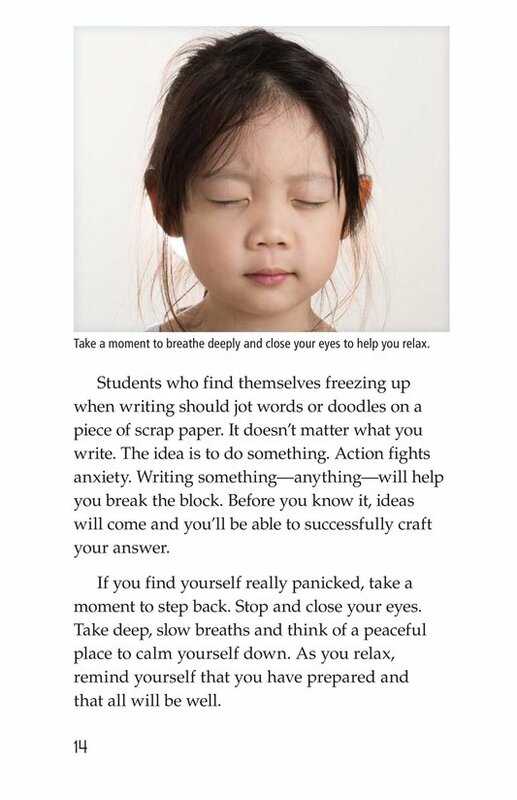 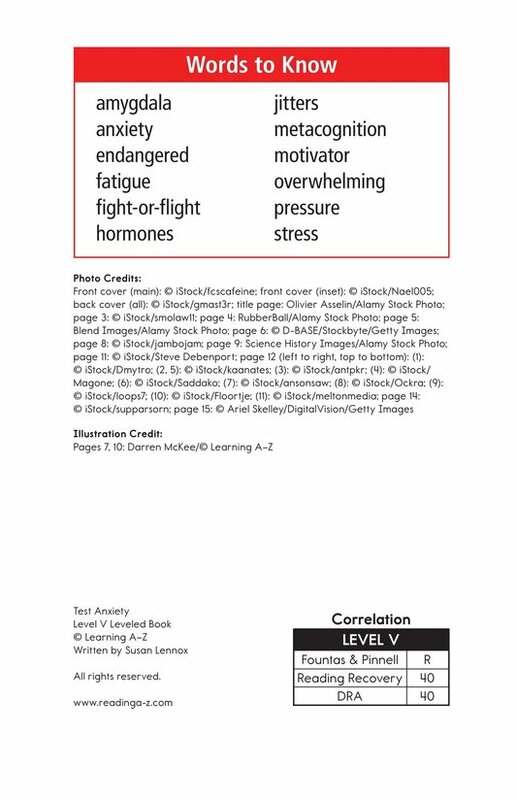 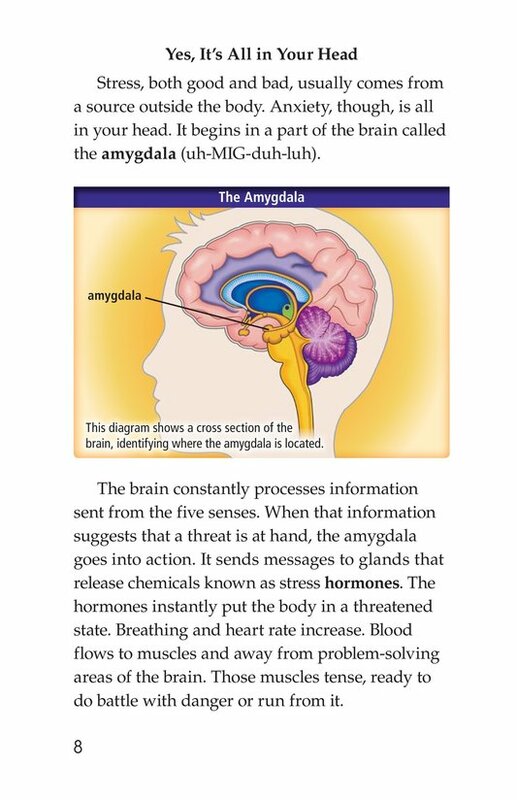 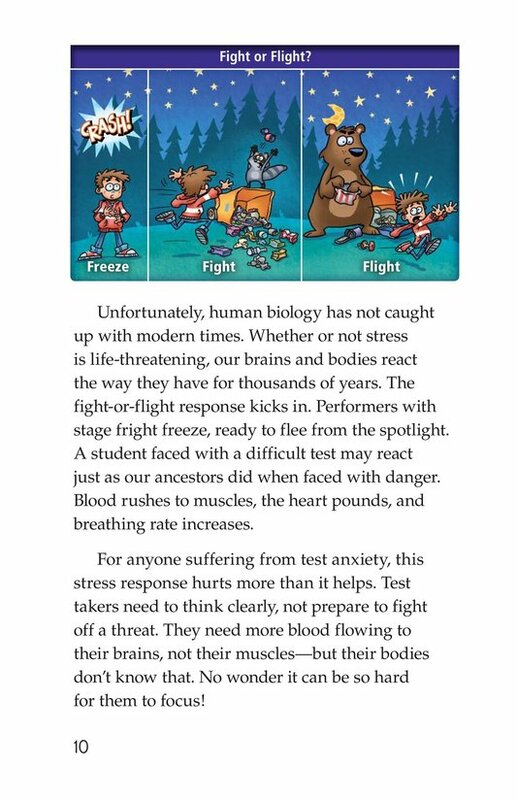 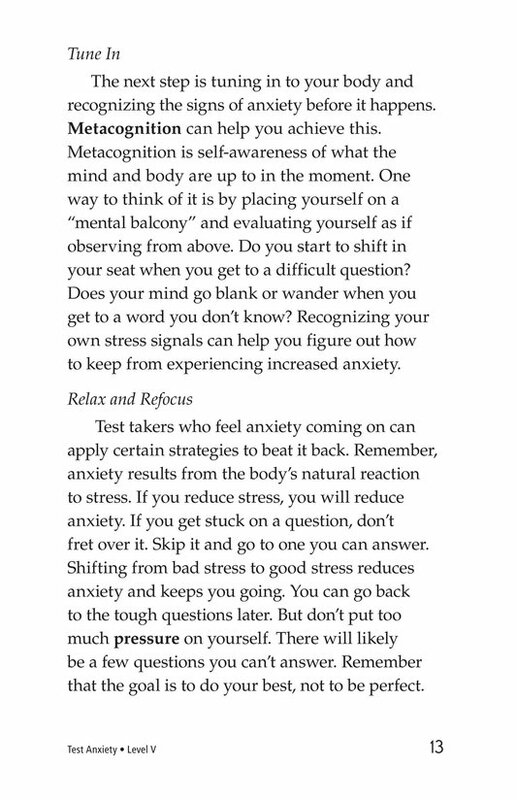 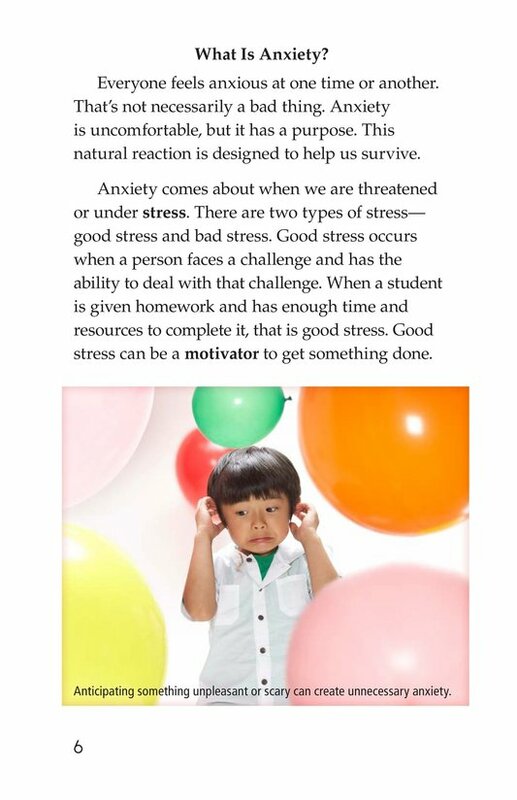 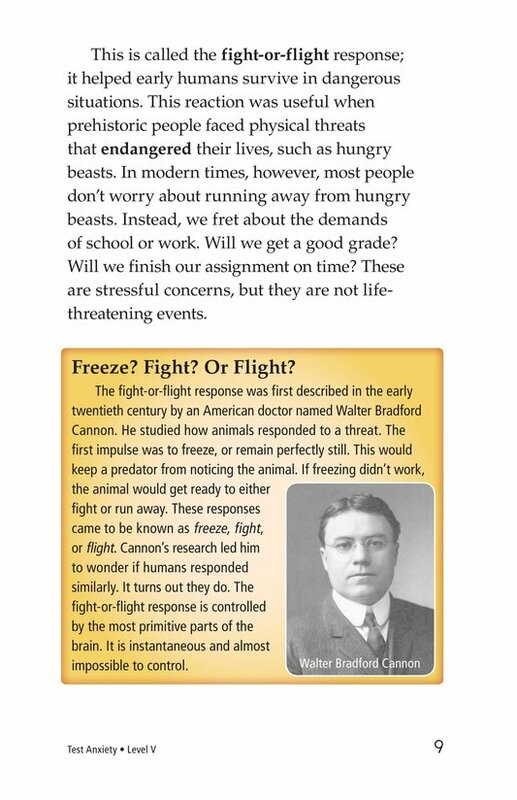 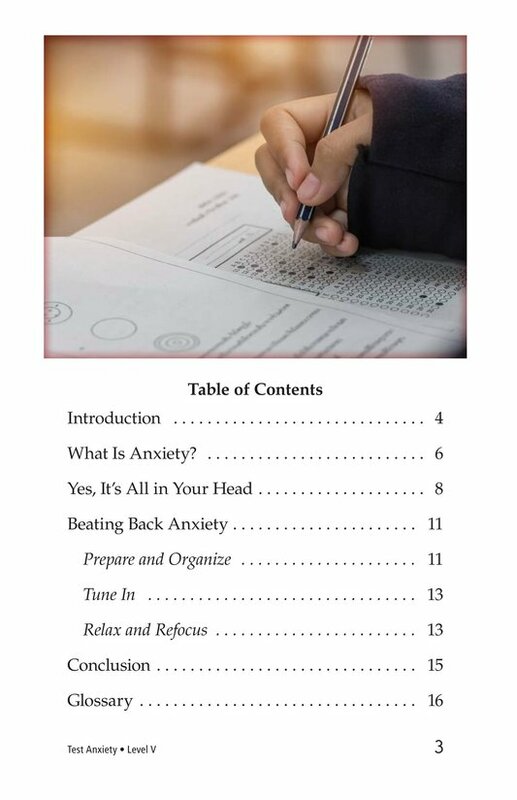 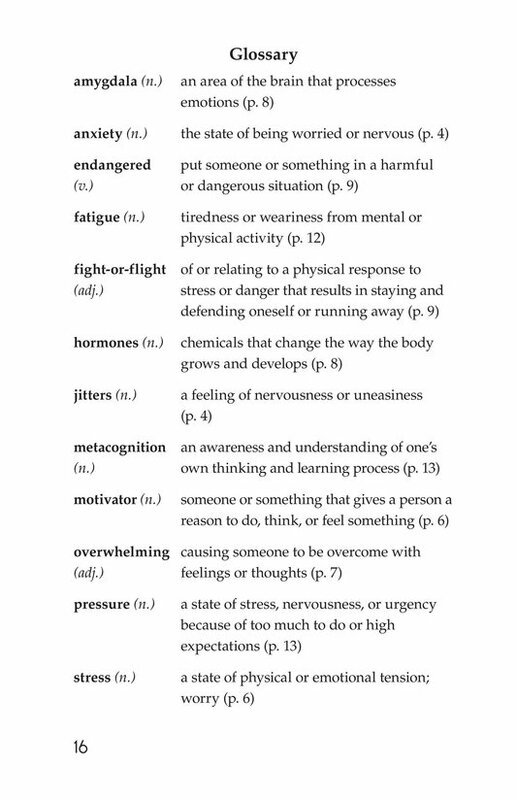 In Test Anxiety, the author provides students with background information about the causes of test anxiety and what can be done to prevent and cope with it. 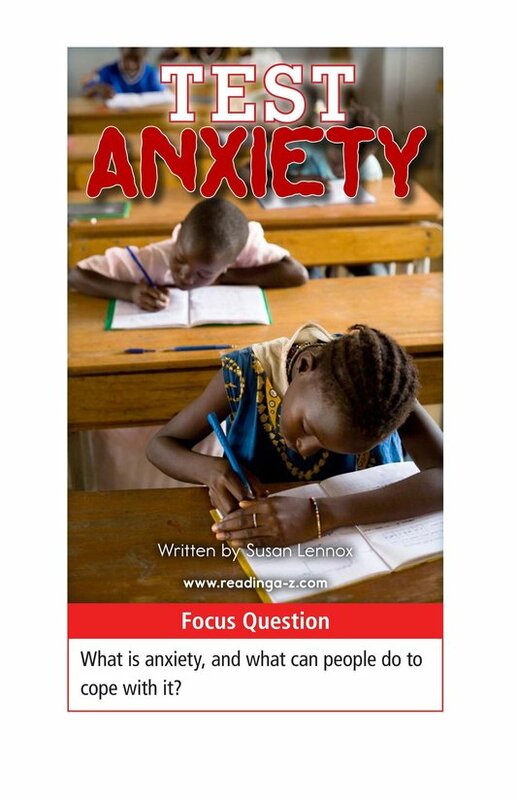 This book can also be used to teach students how to connect to prior knowledge and determine author's purpose.